Ahahaha! Fell at the final hurdle. Never mind, if you got that close you'll do it next time no doubt, it's only a matter of when and not if. Can happen with tank marking too, 94.999999% MoE and then tumble all the way back to 93% but like I said, if you got that close, you'll do it again and you'll go further. Unlucky, but those missions used to be far harder btw, it used to be just assistance damage and the highest tier lights we had were tier 8, and there were no Grand Battles either. I literally spent about 300 games trying to do it for the T-55A under the old conditions, so I feel your pain. I'd say get yourself a tier 10 light, put GBs on, you should do it relatively quickly. Just keep plugging away, its the same with most of the 15 missions, unless you are an exceptional player you need a bit of luck with the teams/maps etc. Edited by tajj7, 27 March 2019 - 01:29 PM. 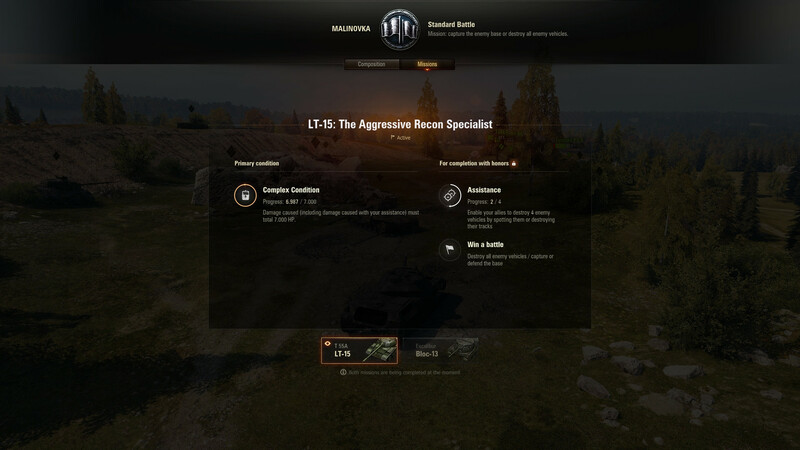 Yep, ... all the stars need to align to make these missions happen, but once they do you'll see that you will have room to spare, I struggled to do this one for the T55a as well, until it eventually happened and I spotted for 12k damage. I'm also having a bad day. Just died with 0 damage, 0 assisted. My RHM Bwt bounced SU152 frontally, T29 on the hull, Tiger P and missed a charioteer on the side twice and arty loved me because a random tank that drove by spotted me with like 1 pixel on the turret or something. Difference between a shitton of damage dealt and 0 damage is sometimes just pure RNG. Especially for high alpha beasts. RNG is even worse with missions but missions aren't a problem for me as long as some mod automatically activates them I will eventually get them by accident. Maybe someday tanks will get a spot-penalty to any direction the gun is not pointing at instead of this 360-degree-full-yolo-1-pixel-high-speed-spot is soo annoying. Edited by OllieCromwell, 27 March 2019 - 09:48 PM.